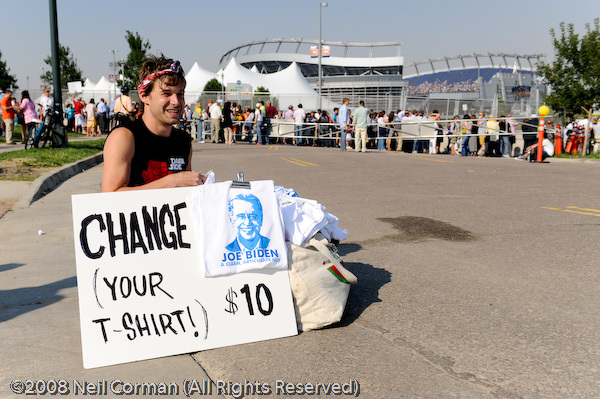 On the final day of the Democratic National Convention in Denver there was a change of venue. 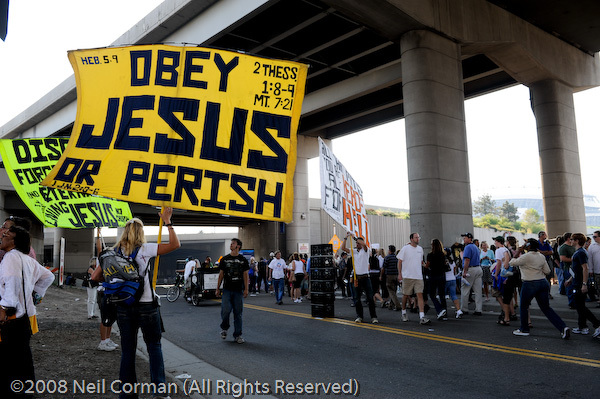 This allowed people from the community to hear Barack Obama give his acceptance speech in front of 80,000 people at Invesco Field at Mile High . 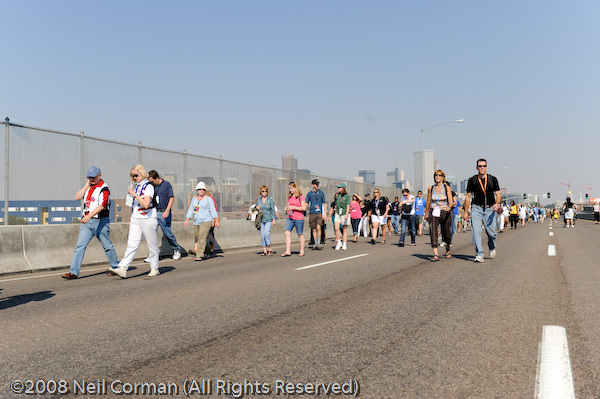 With security at a high level this forced the closure of the parking lots and some of the streets around the stadium. 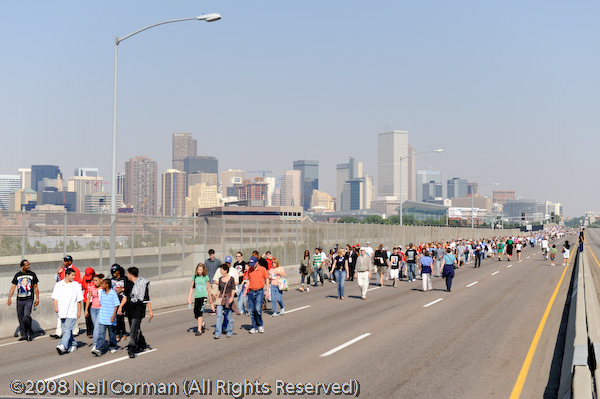 With Colfax Blvd (a main street in Denver) closed it allowed for people attending the event to use this to access to the stadium. With so many people at the event and the long lines, vendors had an much larger audience to sell their merchandise. Also with the larger crowd some of the protesters made their way near the entrances. Even with only a couple of entrances into the initial secure area, not many made it out to the event. 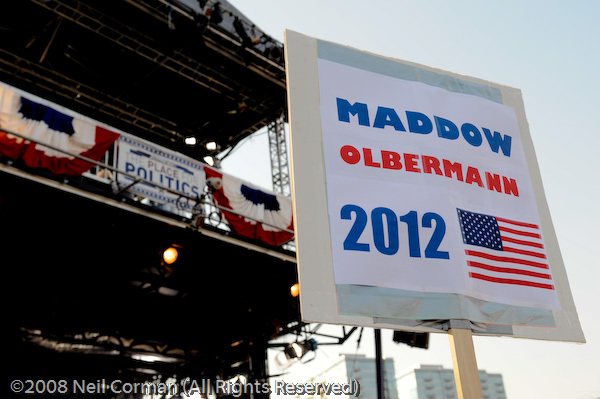 For those who did not attend the event at Invesco, MSNBC broadcast from near Union Station during the convention allowing people to watch the broadcast and even indicate who they think would be a good ticket for the next presidential election in 2012. (Rachel Maddow and Keith Olbermann ). 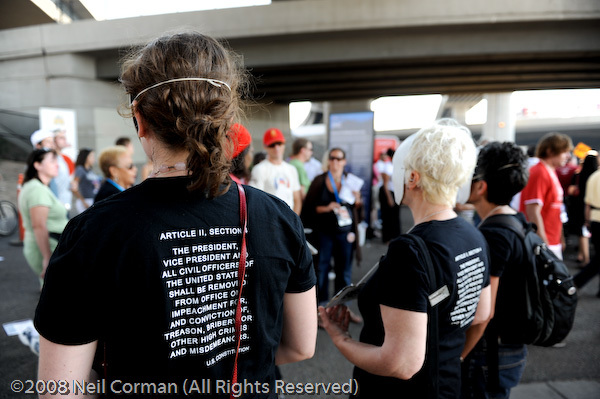 Look for another post later this week with some additional images taken during the Democratic National Convention.